When my Grandfather suffered a stroke in my early twenties, the drywall business with our family name attached died off. None of the children were interested in taking over, and myself, I knew nothing of drywall. I’m sure it hurt him a little to see that no one was going to directly fall into his footsteps in that sense, but he was still happy with a roofer and painter son, and a landscaping daughter to carry on the traditions for him, but he seemed to push even further into me. Wanting me to learn a trade of some sort that could be used to bring more into the world, to build something. When he passed, I learned that he willed me his violin. Out of everyone in the family, I was the one who followed in these footsteps. 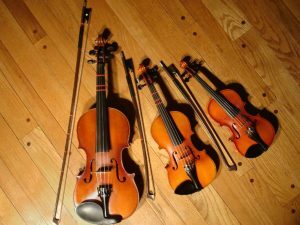 I may not have been into drywall, or roofing, or building, but I loved the music, and learned everything about violin making passed on through generations. I don’t know why it became so much more important for me to keep that legacy alive than ever. I never paid much attention to legacy until he died, but I knew that I had to do something to keep this family tradition alive, as I was the only one who could. So, I followed in my Grandfathers footsteps, laid out years before I was born. I bought a plot of land, and a building permit. It was my goal, to build a violin shop that sold handcrafted violins in our family style. Throughout my life I had made dozens, and only played them myself, and maybe, just maybe I could make a living out of it. It was such an ambitious reach that I was almost certain that I would fail, but I felt I owed it to my family, and to my Grandfather’s hard work, for without it, I wouldn’t be here. I learned how to dig a foundation, we poured our cement and had the first piece of the puzzle figured out. With my aunts and uncles we began to team together to figure out every last aspect of the place. Framework and building, my uncle up on the roof getting it all laid in and properly installed, myself and my uncles putting up the drywall, talking the whole time about how Grandpa had done this almost his whole life and yet we all knew next to nothing about it. As the outside work was being completed, and my aunt taking control of the landscaping, I needed help with the interior, so I wound up calling a local design team to bring us a hand as I knew nothing about this part of the build. They sent over a rep to look at the space and to help come up with a design plan, and I have to admit, it was love at first sight. We bonded closely over the project, and I proudly married her four years after the shop was done.